All across America, there are many types of haunted attractions and Halloween attractions like haunted houses, corn mazes, haunted hayrides, haunted trails, and more, but on the grandest scale, there are the SCREAMPARKS. Screamparks are large, outdoor locations offering several haunted attractions under one venue. 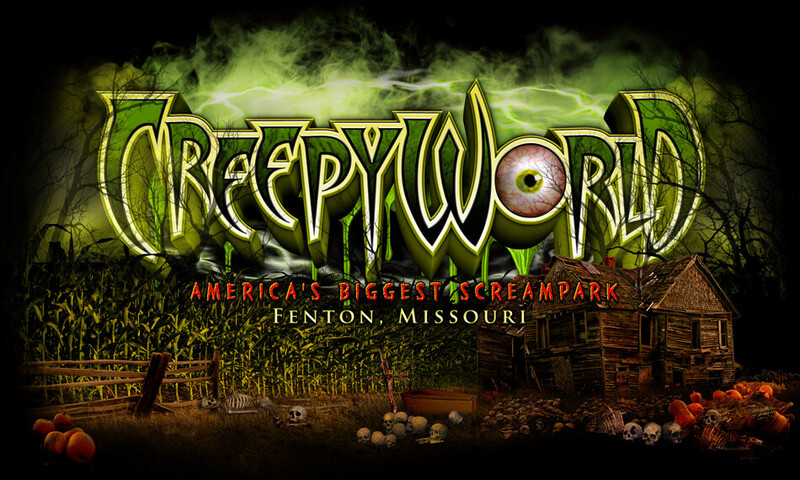 One such Screampark is located in St. Louis, Missouri called Creepyworld. Creepyworld is one of America’s best and biggest Screamparks offering a haunted hayride, haunted mansion, vampire themed graveyard, and a military themed haunt called Silo-X. HauntWorld Magazine ranks Creepyworld as one of the TOP 10 best haunted Screamparks in America for many reasons. Typically, Screampark style attractions are not as elaborate and detailed as a permanent, indoor haunted house, but that’s not the case with Creepyworld. Creepyworld has wicked set design, amazing detail, established actors and terrifying scares. Creepyworld is MASSIVE with FOUR major haunted attractions including (1) Tombstone Haunted Hayride, (2) Dominion of the Vampire, (3) Ravens Mansion, and (4) the main attraction, Silo-X. Once you enter the eerie gates of Creepyworld, you are greeted by The Ghoul Band, a comical music group of the dead, banging out hit after hit and telling Halloween jokes too. The Ghoul Band immediately puts you in the Halloween mood at Creepyworld. From there, the terror mounts as you stand before the massive entrance to Ravens Mansion. The look alone could make you cower as you peer up at its terrifying façade standing 25 feet tall, dwarfing all below. 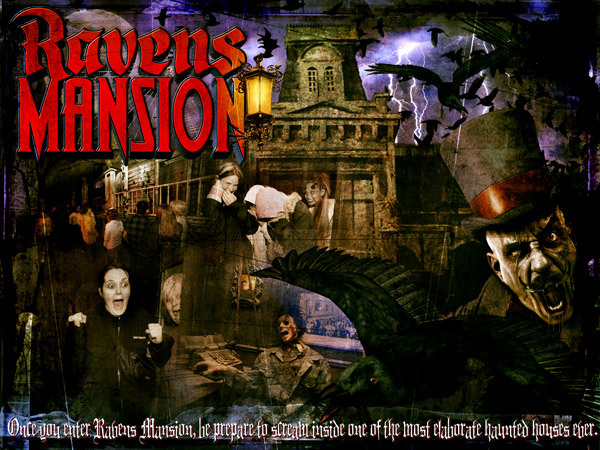 Once you enter Ravens Mansion, be prepare to scream inside one of the most elaborate haunted houses ever. Ravens Mansion is an indoor/outdoor haunted attraction. As you go through each detailed room of this haunted mansion, you’ll eventually exit into the back garden with an old run-down green house and tool shed stalked by a horrific, hillbilly grounds keeper. If you survive Ravens Mansion, you’ll enter the second attraction: Dominion of the Vampire. 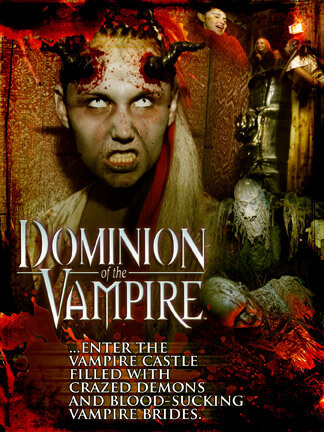 Dominion of the Vampire is a very elaborate indoor/outdoor attraction which features sophisticated animations and Hollywood quality props, sets, and scenes. Start by traveling through a creepy graveyard where zombies are lurking at every turn. Next, you come upon a wicked swamp where water cannons and flame machines shoot up into the air within feet of you. Finally, you enter the Vampire castle filled with crazed demons and blood-sucking vampire brides. Next, prepare yourself for Tombstone Haunted Hayride, a quarter mile long adventure through the old dead west. Tombstone is filled with zombie gunslingers and long dead corpses looking for revenge inside this old town of Tombstone. Tombstone Haunted Hayride features pyrotechnics, awesome sets, psychotic animations and dead cowboys at every turn. At the Tombstone Haunted Hayride, there will be no cheesy sets or dumb skits, just heart-pounding terror from start to finish. After the first three attractions, you’ll probably be tired from running in fear but try to salvage your energy, because there is still one massive-sized attraction to go…Silo-X. Silo-X is a historic haunt. It was the first ever franchised haunted house and at one point opened in over 12 markets across the country including Chicago, Dallas, Boston, Kansas City and many more. Silo-X originally started in St. Louis over 15 years ago, and now it’s bigger and better than ever as one of the four attractions located inside Creepyworld Haunted ScreamPark. Silo-X is the longest and THE SCARIEST attraction at Creepyworld. Silo-X consists of a series of haunted mazes themed around an X-Files type military base with genetic mutations and hideous monsters everywhere. Some paranormal experiments have gone awry and now danger lurks around every turn. Once inside Silo-X prepare to be stalked and chased by savage chainsaw beasts, bloody monsters and more. 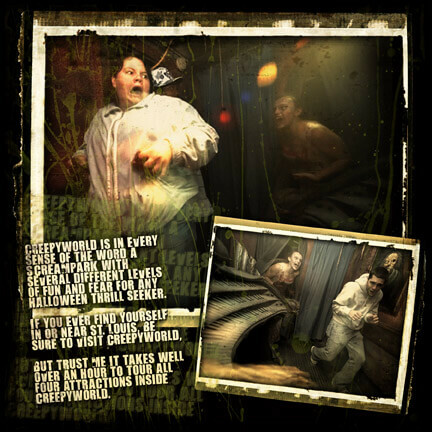 Creepyworld is in every sense of the word a SCREAMPARK with several different levels of fun and fear for any Halloween thrill seeker. If you ever find yourself in or near St. Louis, be sure to visit Creepyworld, but trust me it takes well over an hour to tour all four attractions inside Creepyworld. So where does Creepyworld rank among the elite haunted houses in America? Creepyworld is owned and operated by Halloween Productions, Inc., the same company which also owns and operates The Darkness Haunted House. While CreepyWorld is an outdoor event, The Darkness is a 27,000 sq ft indoor attraction. Generally, indoor attractions have better set-design because they can be worked on and updated year around. The Darkness is one of HauntWorld’s favorite haunted houses due to the unmatched detail, set design, animations and crazed actors. It’s really hard to create an outdoor attraction with the same level of detail and design as a top-rated indoor attraction like The Darkness. However, there is no doubt that Creepyworld is every bit as detailed, every bit as elaborate, and in some ways better than any indoor haunted house we’ve seen. We feel that most people looking for a good scream this October will find Creepyworld to be just what the doctor ordered. Creepyworld ranks as one of our favorite (if not THE favorite) Screampark we’ve ever reviewed. To learn more about Creepyworld, visit their website at www.scarefest.com.